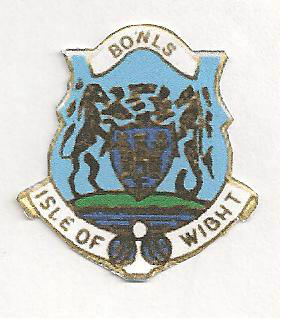 Ventnor Bowling Green nestles under the foot of St. Boniface Down the highest point on the Isle of Wight. The tree-covered hill shelters the green from northerly winds but still allows plenty of sunshine from the south. The famous old Macrocarpa pine tree which is well over 100 years old, with the tree-covered slopes of St Boniface down in the background. Ventnor Bowling Club, the oldest club on the Island, was established in 1886. 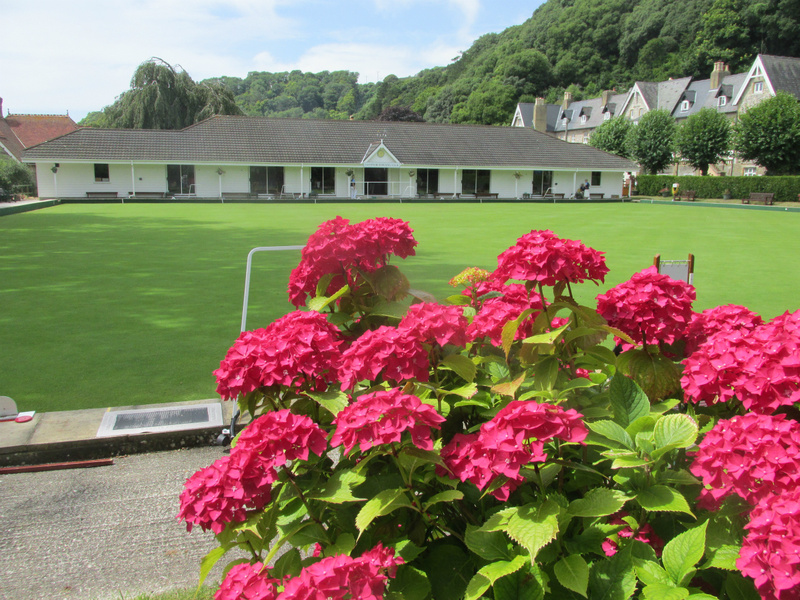 The Bowling Green is just above the town of Ventnor, approximately 330 feet above sea level, and about half a mile from the sea front. 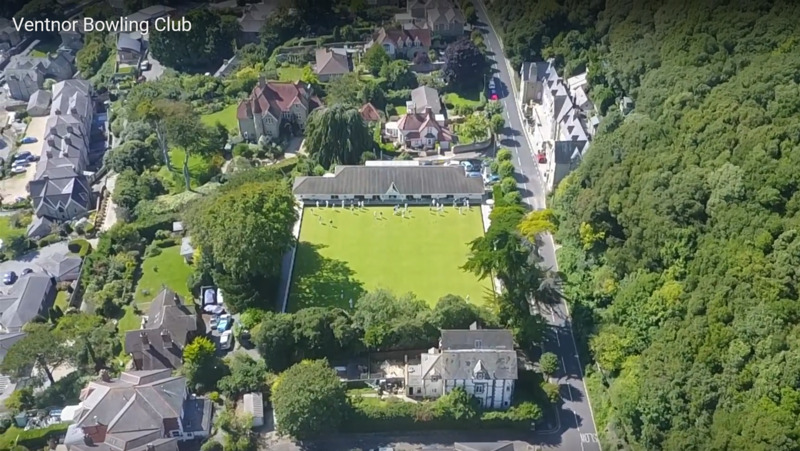 The English Channel can be seen above the town's rooftops from the southerly end of the clubhouse. 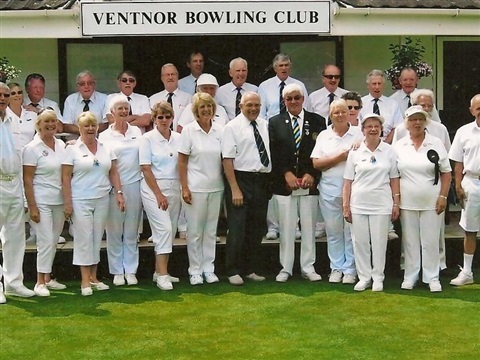 The Club is situated on the B3327, the main bus route from Ventnor to Newport & Ventnor to Shanklin, Sandown and Ryde. The No.3 bus runs half-hourly in both directions and stops right outside the clubhouse. 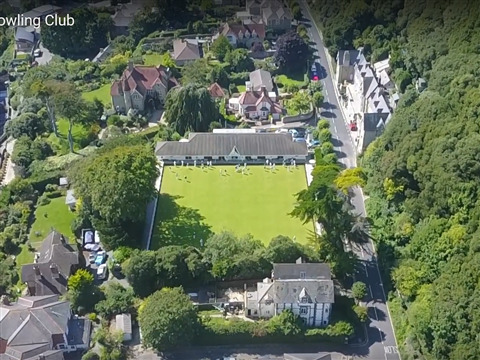 NEW: Video of Ventnor Bowling Club and the surrounding area of Ventnor Town from the air. Please click link to view the video. 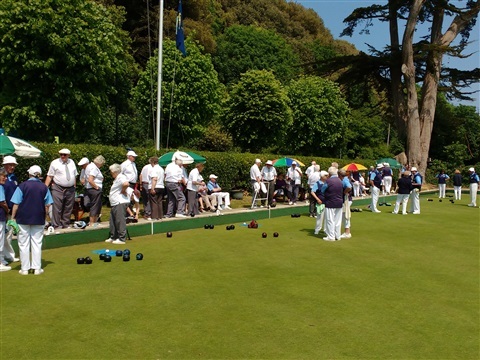 Please click link above for dates and times for this summer's Tourist Fixtures. 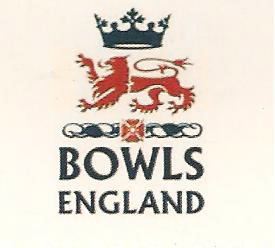 Please click link above for final league tables at April 4th 2019. 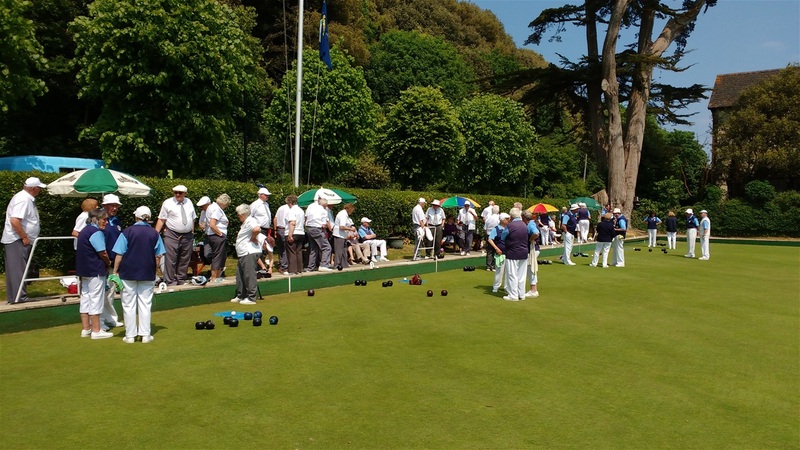 Please click the link above for up-to-date weekly Club Reports of Tourist Games Men's & Ladies league Matches, Club Competitions and Friendly Games, etc. and forthcoming events & fixtures. Click the link above for an account of the above friendly fixture. 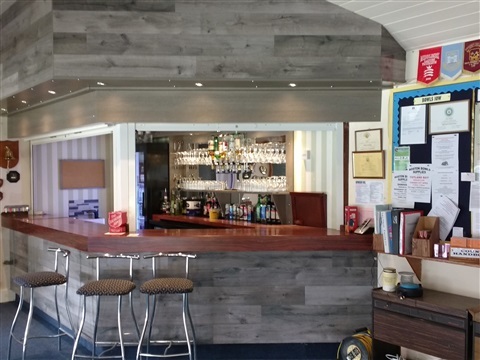 Please click the link above for more information about our new Bar. THE OUTDOOR GREEN is normally laid out with 6 rinks, but an extra rink can be added if needed. The green is 35 metres square and rink directions are alternated daily - North-South or East-West. The green is normally open from early April to the end of September, and is available for public play between 10am and 5pm every day, providing there are spare rinks. Light refreshments are normally available to the public. All competitions, league matches, county competitions, etc., will take presidence over any public use. 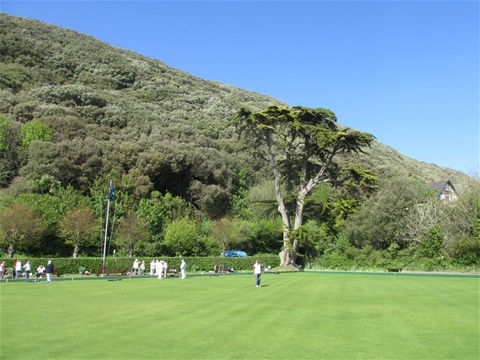 The green is professionally maintained by a qualified contractor all the year round and over the years the Ventnor green has earned a reputation as one of the best on the Island. 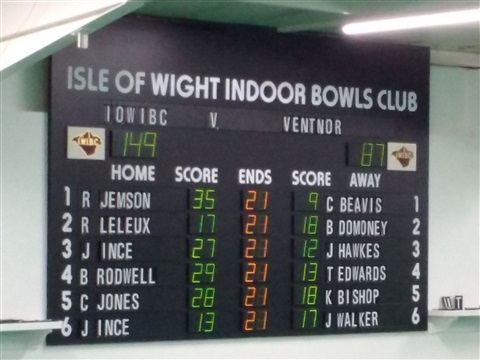 VENTNOR IS THE ONLY BOWLING CLUB on the Island with a full-length indoor rink within the clubhouse and from October to March is in use seven days a week. Monday to Friday, mornings and afternoons, are used for the Winter Daytime League, the 100-up Pairs and the Triples whilst the evenings host the Winter Indoor Fours League. 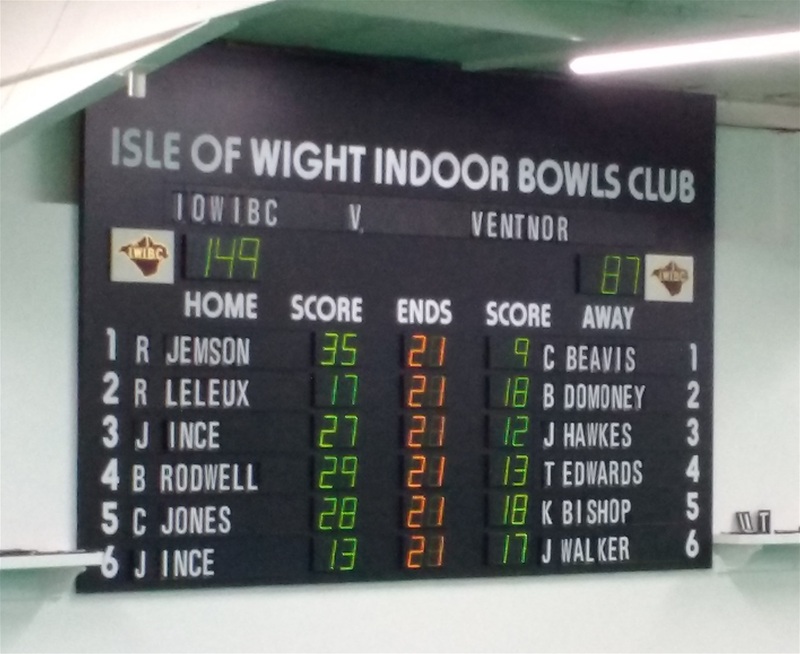 Fridays and weekends are set aside for the Winter Knockout Competitions, whilst Monday nights are reserved EXCLUSIVELY for beginners and improvers - a facility that makes Ventnor the envy of other clubs. 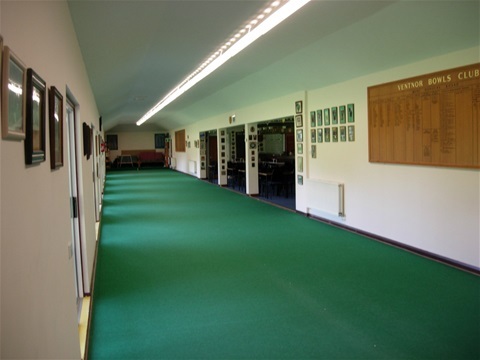 In the summer months the carpet is completely boarded over to provide a large, unobstructed area which can comfortably seat up to 100 people. The Club has a fully-equipped kitchen with a food hygiene rating of 5, where meals for approximately 80 people can be prepared. 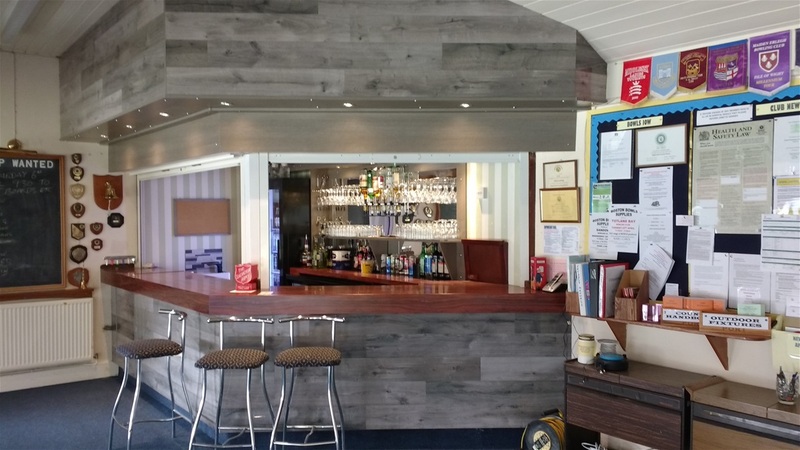 There is also a well-stocked bar, with reasonable prices, to satisfy everyone's tastes. Men's Saturday Leagues: 3 Teams. Men's Afternoon League: 1 Team. Ladies Midweek Leagues : 3 Teams. 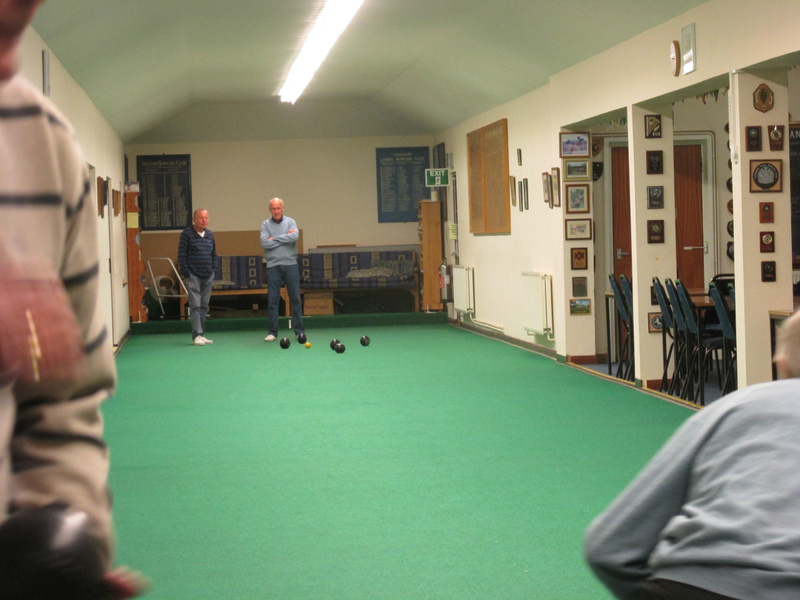 The Club enters all County Competitions. 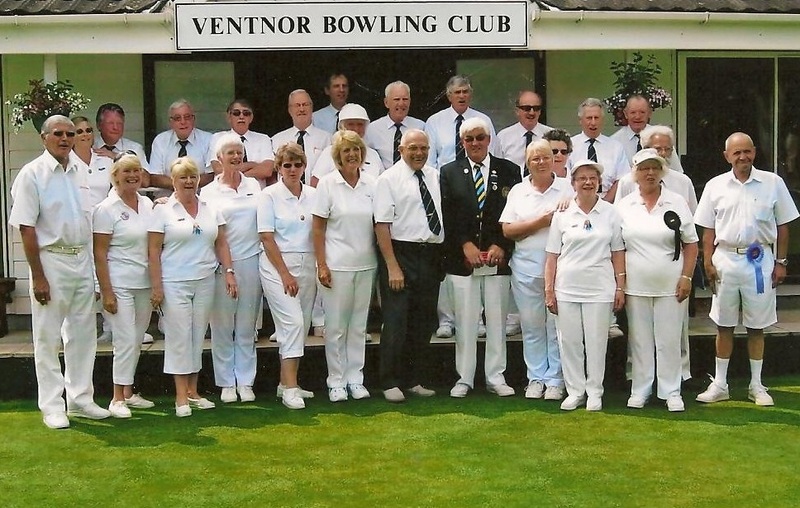 Ventnor Bowling Club is affiliated to Bowls England and usually enters teams and individuals in most National and Regional Competitions. Click Contact us to find phone numbers and emails of Club Officials. Click Where are we? to see a map of our location and to get directions and further information.